Looking for a chance to gain a influential ally, the travelers head to the temple to fix a stubborn artifact. Plans go awry as an arrogant assassin makes his presence known. While the more intellectual members of the group went to talk to a magyr believer, the other two head towards the temple to search for answers. 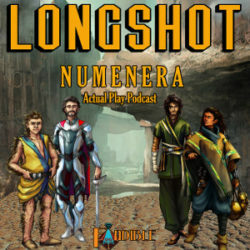 Finished with Gunhu’s shop, the travelers head to the guardhouse to interrogate a hostile prisoner. Now owners of a small business, the travelers must take care of their first client. The exploration of Hunder continues as the travelers gain the items and information they need for their journey.